BUSINESSCARD002 corporate cards measures 3.5inch x 2inch. 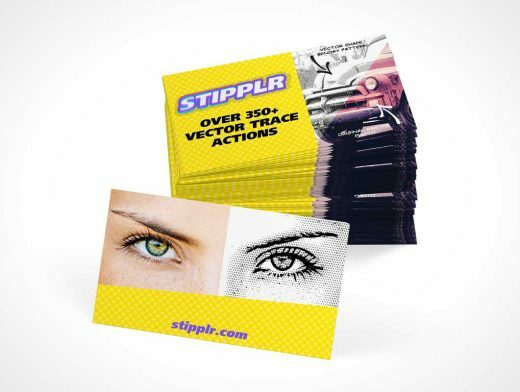 This PSD mockup template renders a stack of 70 cards with a single card propped up on the side. The card stack is nearly set to 90° at its base and rotates in spurts up the height of the deck.